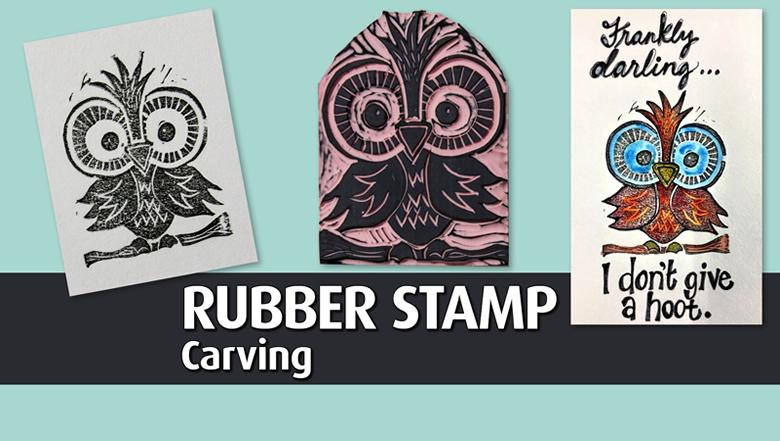 Did you know you can use printmaking supplies to make your own rubber stamps? It's easier than you think! In this workshop, you'll get to play with carving tools and materials to create your very own stamp designs. Once you're finished, you can use them with any ink pad to embellish your fine art, paper crafts, or art journal. Beware....carving can be very therapeutic and addicting. It could be your next art obsession!